AFTERLIFE TOUR- Rock up your after-life! A couple of young, fresh and talented band from the Swedish music-legend, now depart to a common tour around the North, to mock the postponed ’end of the world’. Now, they are on tour with three other young rock-metal groups, forming together the Afterlife tour, going ahead colonizing and fascinating the Swedish rock world totally. Then I asked them, about future plans, and now eveything is clear. 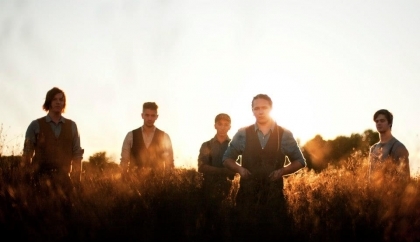 „During the tour, we will release our EP, called ’Variables’, sometimes in February. We did not go out with a date yet, but sometime that month it will be out, containing three songs with epic riffs, some heavy electronica and a lot of really heavy and hard grooves!”- the disc is recommended so by the Drake guys. 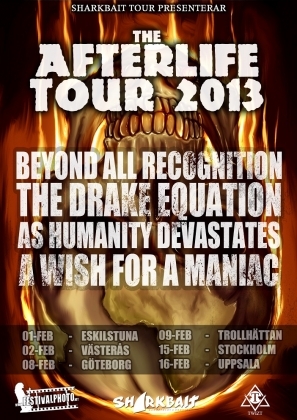 Anyway we shouldn’t forget about the tour, starting soon, in two days in Eskilstuna. Four young bands, full with high spirits, and restless soul to rock our ’after-life’. „The tour is ironically called "The Afterlife Tour", since the ’so called’ end of the world (2012-12-21) has already passed, and its quite funny.”- participant bands commented the title. Well, instead of going crazy about the end of the world madness, its much better to headbange to metal, and rock music.